After being banned from fighting inside the US because of using a banned substance, Josh Barrnet gets a new fighter's license and will return inside the cage at Strikeforce. After a positive test on a banned substance in 2009, which forced him to pull off his fight against Fedor Emelianko in Affliction promotion, Josh Barnett is back to fight again inside the cage. After getting a fighter’s license from the Texas Department of Licensing and Regulation, Josh Barnett will face Brett Rogers in Strikeforce’s Heavyweight Grand Prix. It will be the former’s first fight in the United States after the incident about the banned substance. 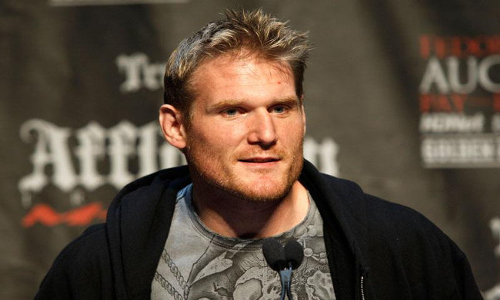 An officer from the Texas Department of Licensing and Regulation, Susan Stanford, confirmed last Tuesday that Josh Barnett has met all the licensing requirements and was approved to fight for the upcoming Strikeforce event. Meanwhile, there are four other fighters on the Strikeforce card who were still not given a license to fight. However, they still have until 5:00 pm (Central Time) on Wednesday to meet those requirements.